‘Broker’ is one of those job titles that is hard to pin down, a bit like ‘agent’ or ‘consultant’. The name doesn’t really explain the activity carried out by the professional, unlike more straightforward titles like ‘builder’ or ‘actor’. There is often confusion about what an insurance broker does or does not do. Put simply, a broker arranges insurance for you. They take the time to understand your individual circumstances, use knowledge and experience to assess which products are best suited to you, help you understand cover, facilitate savings and do the necessary admin. You don’t pay for this service: brokers earn money by getting commission from insurance companies. There are so many misconceptions out there about what brokers do or do not do. Let’s clear debunk some myths! A broker will not charge you for their service; they are paid in commission by insurance companies who are pleased to have the extra custom. It’s true that the bargain-basement prices you might be quoted online may not be available through a broker: the reason for this is that brokers know from experience that extremely low prices invariably translate into extremely poor service or poor level of cover. Independence is very important to brokers. They are crystal clear that they provide a service to you and their goal is to find a product that will serve you best. Most brokers use a panel of insurance providers, picking out the most suitable products for you. Brokers do more than just relay information between a client and an insurer. They have in-depth knowledge of their panel of insurance companies and know all the common misunderstandings that can cause problems. 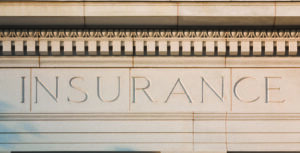 Brokers know how insurance works, inside and out; for example, they might advise that a bundled insurance package would provide better value than purchasing separate policies, or help you clear up any ambiguity about what a particular policy covers. Insurance could be the lifeline that saves your business, so it’s worth ensuring the right cover is in place. Buying online is about form-filling, but there are always grey areas that could leave you open to uninsured loss. Brokers tend to offer insurance at the same prices that are quoted online, but they make sure cover can really be relied on. It’s true that brokers use a panel of insurers, rather than giving you access to every possible provider on the market. However, a broker will still present you with multiple options to choose from, usually with different prices and levels of cover attached. Plus, you get the peace of mind that the panel is made up of credible, trusted insurers who will provide good service if you need to make a claim. Not true! Although brokers are commonly associated with the purchase of insurance, a recent change in the law means they now have an expanded ongoing role in helping clients to update the insurer on any changes in their circumstances. They will help you understand what information should be passed to the insurer and ensure it is presented in the right format. If you need to claim on your insurance, a broker can be your best friend to guide you through an often complex process. Their assistance can help to make a claim less stressful, quicker and securing the optimum pay-out. Are you missing out on the benefits of using a broker?